The Dee Evans Group has consistently been awarded Top Group in Sales for Rockwall County and was recently awarded Top 100 Most Influential Real Estate Agent in North Texas. The Dee Evans Group provides preeminent service with a personalized touch! Whether selling or buying, these ultimate professionals make it seem effortless and they get the job done in record time with exceptional personal care. Her group's expertise will assist clients with all their real estate needs: purchasing, selling, building, and investing (in residential, commercial, farm, and ranch). Dee has been Ebby Halliday's Company-Wide Individual Producer since 2009 and Rockwall's Top Individual Producer since 2005. 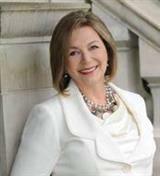 She has consistently listed and sold the most properties for Ebby Halliday company-wide. Dee is in the exclusive top 1% of National Top Producers, D Magazine's Best Agent and Top Producer since 2011 an has received the Five Star Real Estate Agent award since 2010. In 2016, she received the American Institute of Real Estate Professionals 10 Best in Client Satisfaction Award. She has been a recipient of the prestigious Ebby Halliday VIP Excellence in Customer Service Award Company-wide since 2013 and for the Rockwall Office since 2013. Dee has a B.S in Psychology and Sociology with an emphasis in Counseling and Guidance. She has an Accredited Buyers Representative designation. 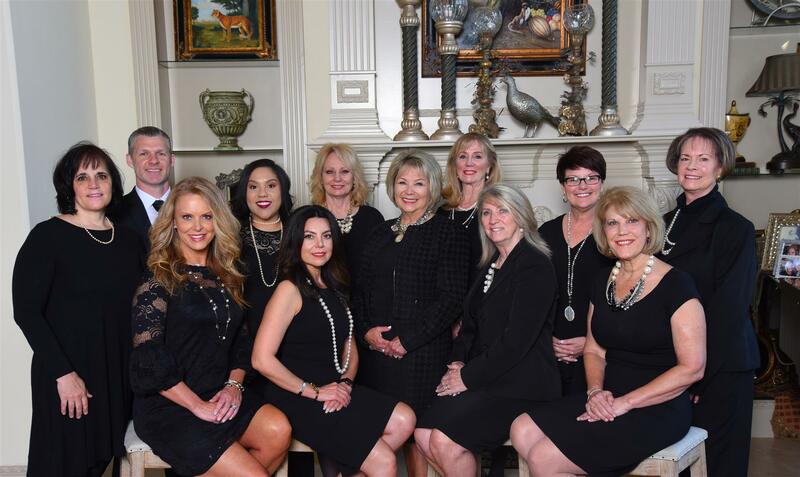 To better serve her clients, Dee formed her group, The Dee Evans Group, in 2014 and from 2014-2018 her group has earned the Most Sales and Volume in Rockwall County. Her award winning customer care team specializes in all areas of real estate - residential commercial, farm and ranch, new builds, and investments. She and her top notch team can assist in all your buying and selling needs and will use their knowledge and expertise to guide you through each transaction with integrity and professionalism. Let our experienced, professional group help with your next real estate transaction. EXPERIENCE MATTERS! After earning a BS in Business and Financial Management from UTD, Jackie began her career in Real Estate in 2008. Her focus and number one goal is to provide our clients with excellent personal service. Her background in customer service and management gives her the necessary experience, knowledge and ability required to handle client needs with professionalism and efficiency. She values hard work and putting others' needs first. These values are evident in every aspect of her daily life and transcend into her real estate career. She knows and appreciates how valuable our clients’ time and needs are; therefore, she dedicates outstanding individual service to each client. Licensed since 2003, Linda is an experienced agent and listing coordinator for Dee's multitude of properties. With years of real estate knowledge, she makes the listing experience a breeze and keeps clients constantly informed about their showings and comments. A Licensed Real Estate Salesperson since 2010, she is an active member of the Dallas Metrotex Association of Realtors ®. Born and raised in Texas, she is a Top Producing Real Estate Agent and is passionate about helping her clients buy, sell, and invest in Real Estate throughout the DFW metroplex. She realizes her clients have a choice when deciding who will represent them in their real estate transaction, which is why she is laser focused on her client’s needs and works hard to take the stress out of the selling and buying process for her clients while creating long lasting relationships. Before becoming a Realtor ® she worked in the Restaurant Industry for more than 20 years- working for a Global Brand and managing a multi-million dollar print production portfolio. She resides in the Dallas area with her husband of 28 years. She has a daughter, son in law, a sweet grandson and two dogs that complete her family. Faith, Family and Friends are her building blocks and are what she focuses on in her daily life. If she isn’t working hard for her clients you can find her at the lake with a book in her hand. Annie Garcia, a licensed realtor in Chicago, IL and Texas, moved back to Texas after living in Chicago, IL for many years. Annie is fluent in Spanish and has an extensive financial, insurance and legal background. Having obtained her Paralegal Degree from Northwestern College and Alumni of DePaul University, she still maintains and exercises her Texas Insurance, Property, Casualty, Life and Health license. This allows her to utilize her expertise in assisting her clients throughout the entire process of any real estate transaction. In Debbie's 18 years of experience as a Realtor she has received numerous awards and established herself as an expert in the business. Born in England, Debbie initially acquired her passion for homes by working as an interior decorator in London. Married to a contractor has helped Debbie understand the structural components of homes in addition to her transactional experience and negotiation skills. Dedication to customer service has been instrumental in her success as a Realtor and business owner. In order to stay up to date on market trends and best practices Debbie remains studious and committed to her continuing education. Donna McDonald is a native Texan with 37+ years experience in customer service. Twenty years as a business owner has given her insight on what it takes to build relationships based on honesty and her responsibility to others. Donna challenges herself to be knowledgeable in the Real Estate Market and sensitive to the needs of her clients. Donna has received awards for her commitment to success and appreciates the opportunity to help others. Donna works hard to stay on the cutting edge of technology to be the best at servicing both Buyers and Sellers in the constant changes of the real estate market and needs of communication with her clients. Communication is the key to any relationship however you choose to do it! Paula Kerr is a committed professional whose top priority is to provide quality service with integrity to meet your real estate needs. Paula attended Saddleback College in Southern California. Prior to entering the real estate field, Paula was a legal assistant before becoming a sales manager responsible for introducing the Rockwall Mobile App to Rockwall County. There she honed her organizational and interpersonal skills, as well as learned to be flexible and adapt to ever-changing circumstances. These qualities have served her well with regard to the various aspects of residential real estate transactions. As a native Texan, Paula and her family have made the Rockwall area their home for 20 years. She is a long-time associate member of Rockwall Women’s League and was the events manager for the Rockwall Area Chamber of Commerce, which gives her extensive knowledge of what is happening in our every growing city. Paula and her husband, Scott, are long-time members of Lakepointe Church, where they have both taught in the youth and adult programs. Paula’s hard work and a good ear for listening are what she believes to be the winning combination to help you find your dream home or meet any of your other real estate needs. After touring all over the world as a professional singer. Andrea decided to settle down in Sunnyvale, Texas. Touring and owning her own business has given her a wealth of knowledge in sales and marketing. That knowledge will help her clients both in buying and selling. Andrea will provide personalized and detailed service for your home search and will work tirelessly on your behalf to ensure you get the home of your dreams. While making each client experience a personal one, Mike Berry has brought joy to many families with helping them find a home tailored to their needs. Honesty and integrity, along with loyalty and determination is something that you will get when working with him. Mike’s professionalism and exceptional customer service has lead him to great success in the real estate market. He listens attentively, puts his client’s interests first, and responds in timely manner. His key word is “communication” and will give just that when working with clients. If you or anyone you know is interested in buying or selling a home, give Mike a call. You will be very pleased with all he has to offer and the dedication he puts forth into finding your perfect home! As a life-long North Texas native, Dianne graduated from Skyline High School in Dallas before attending the University of Texas, Eastfield College, and the University of Texas at Dallas, where she received her BBA with an emphasis in Accounting. Prior to joining Ebby Halliday Realtors, Dianne raised three children and worked as a processor for her husband in mortgage banking for 14 years. Dianne's passion for homes and decor made becoming a Realtor a logical choice. She loves finding the perfect home for clients. She can aid them in finding the home that will both meet their lifestyle and financial needs, as well as guide them through the mortgage piece of the home buying process. Dianne epitomizes creativity, integrity, tenacity and attention to detail in every step of a real estate transaction. She takes great pride in giving her clients the highest levels of personal attention and constant communication throughout the entire process. In her spare time, Dianne enjoys walking in her neighborhood in Heath and being a member of Lakepointe Church, as well as neighborhood Bunco and Book Clubs, and spending time with her children and six grandsons. Julie Anne Anderson is a licensed real estate agent with the Dee Evans Group, which is currently one of the TOP producing teams in Rockwall County, as well as in Ebby Halliday, Realtors. She is a mother, friend, CASA volunteer, wannabe chef, Aggie, retired teacher, and now a real estate professional. Her life experiences have taught her to accept change without fear and take on challenges without hesitation. Her attention to detail and dedication to serving others provides the client care and exceptional service you are looking for in an agent.